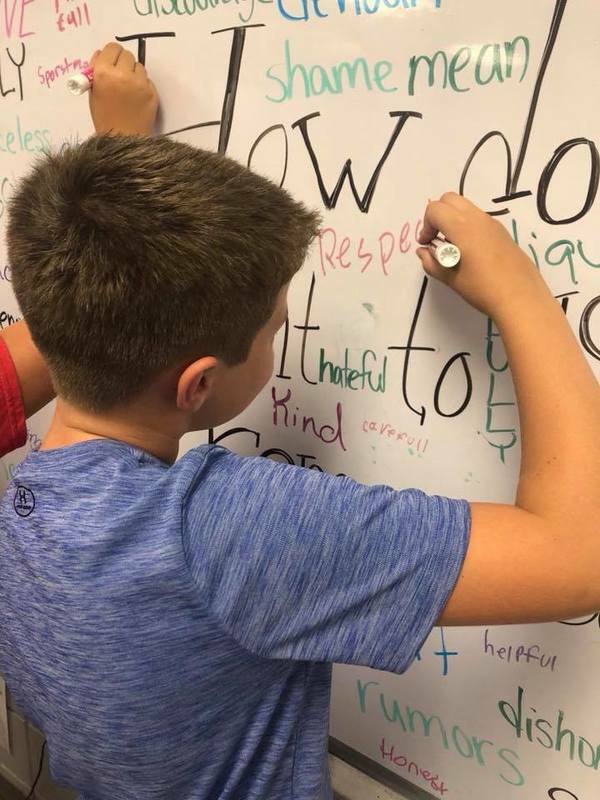 Students in Mrs. Pope’s 6th grade literacy classes literally erased meanness today. 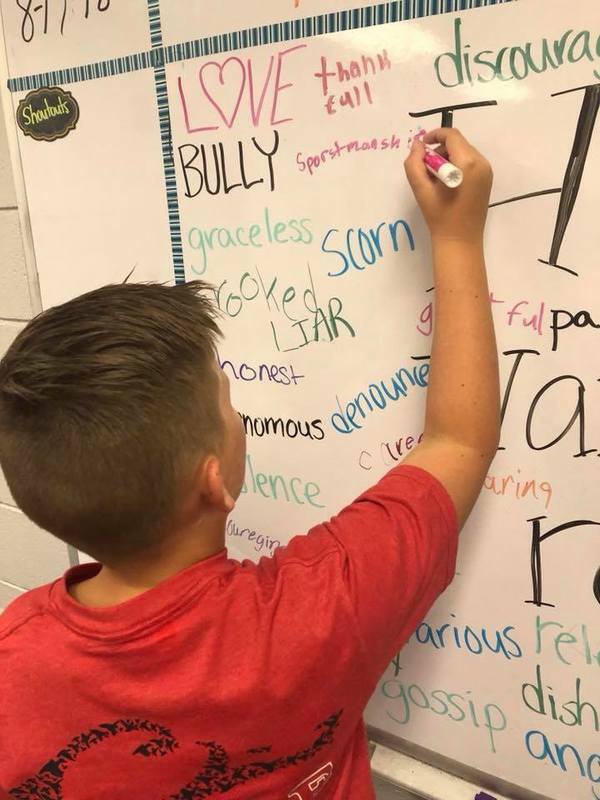 Students walked into class with negative words written on the board, discussing how the words made them feel. 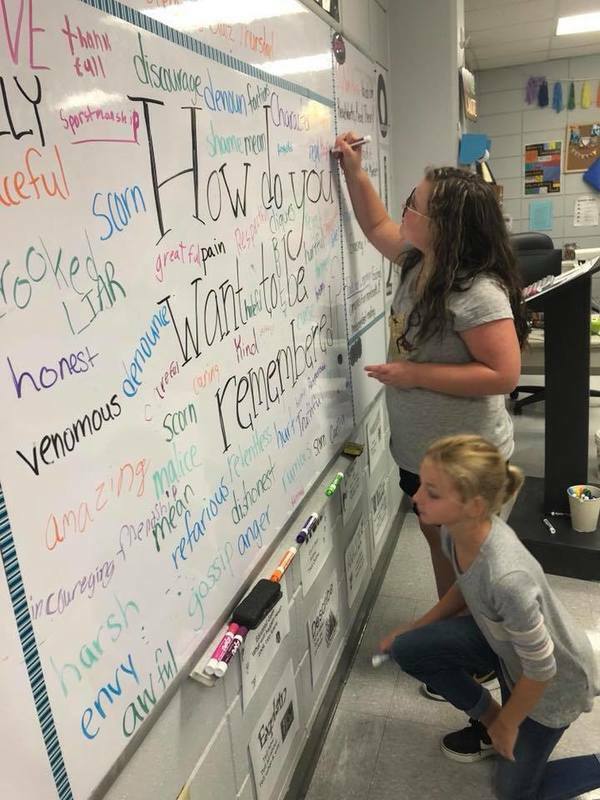 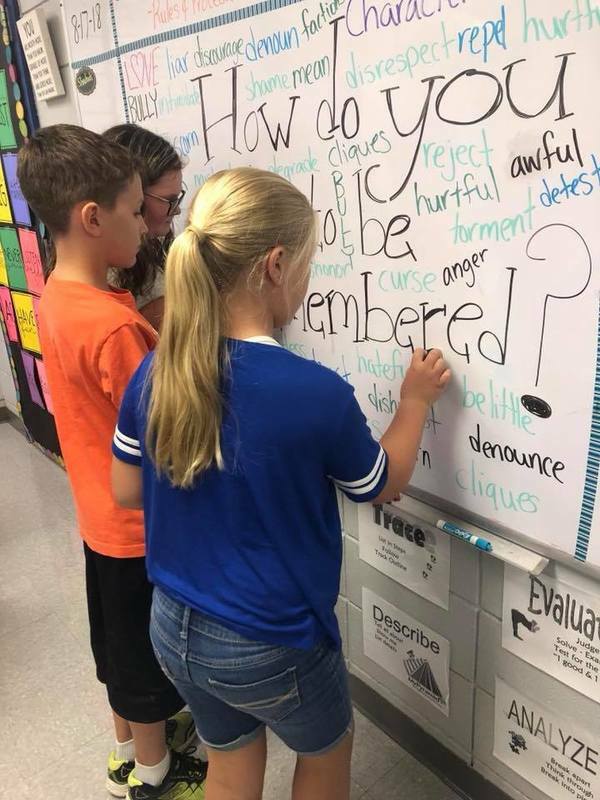 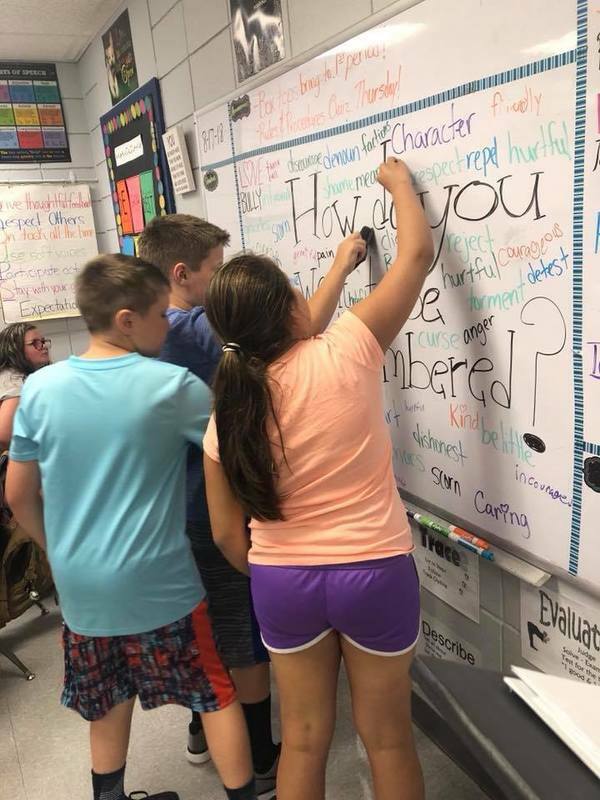 They were asked to think about how they want to be remembered; then brainstormed kind words to replace the negative ones. 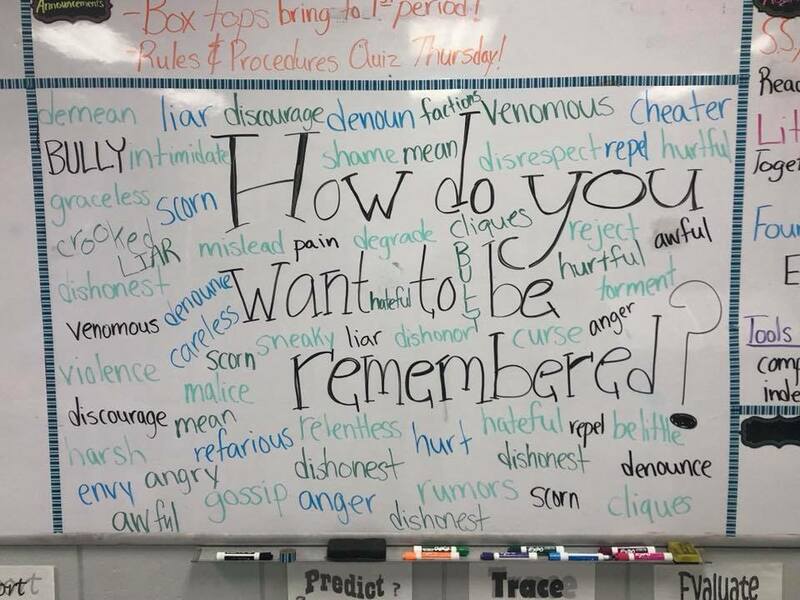 Mrs. Pope reminded them they always have a choice to do the right thing.